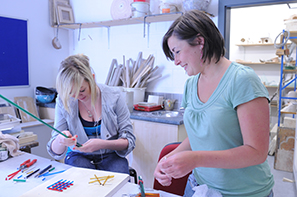 There is something for everybody in our Community Education Programme, from cake decorating to calligraphy, DIY to dressmaking, Interior design to learning Italian. Our community courses are run at both our Blossomfield and Woodland campuses, as well as other community centres across the borough to ensure you can study close to home with maximum convenience. Whether your interests lie in pursuing a new interest or gaining an accreditation, Solihull College & University Centre offers a wide range of programmes to suit your personal endeavours. Please follow this link to view our latest Community Education course guide. Clicking on the below PDF link will open Adobe Acrobat. If you don’t have Adobe Acrobat installed on your computer you can download it here.